Home Spray Foam Insulation spray insulation Queens, NY will give you comfortable atmosphere! Is your insulation not installed properly? Is your house not staying warm in winters and not getting cold in summers? Are your energy bills increasing? Or is the outer noise disturbing your daily life? One of the best things to do is spray foam insulation. Because when you are choosing insulation, you are ultimately choosing the best quality of life for you and your family. We do quality spray insulation in Queens, NY. Whenever you want the best service for spray insulation, call us, and we will give you free consultation. We take everything into consideration like the type of home, its building material and how old it is and also the weather conditions will be looked upon before spray foam insulation. Why spray insulation in queens, NY is famous? Air moves in and out of the home through each and every hole, crack and gap. Generally, one-third of air penetrates through wall, ceiling, and floors. Spray foam has the ability to deal with air leakages. It can get into and fill small holes and cracks which will provide better insulation by eliminating the flow of air and keeping the area warmer in winter and cooler in summer. It can be applied to horizontal and vertical surfaces to act as an air barrier. It is synthetic and so there are no chances of rodents or insects. Spray insulation also works as a thermal barrier by stopping any humidity from entering the house. If you feel cold drafts and severe heat in your home, then spray foam insulation is the solution as it guarantees steady room temperatures in your whole house. Properly installed spray foam insulation will be very beneficial for you and your home. You will notice the reduction in all of the energy and heating bills because the spray foam has sealed all the walls, ceilings, floors from where the air escapes. Because when air escapes from your house more energy will be used is winter for heating the house and in summer to keep it colder and that will be the reason for high heating bills and high electricity bills. The other great benefit of spray insulation is it protects your home from mold and mildew because the spray insulation will keep the moisture out from your walls. So with spray insulation in Queens, NY you are making your life and your house much better. Open cell foam insulation– it is a type of insulation where the tiny holes in your walls or ceilings are not completely closed, it is less expensive and makes use of fewer chemicals. It works as a very good barrier for air but does not provide any type of moisture barrier. It is best used for interior walls because it also provides sounds reduction. Closed cell foam insulation– this type of insulation is much denser than open cell. It closes the tiny holes, cracks in walls and ceilings. It acts as a barrier for air and moisture. It can be used for outdoor application as well as anywhere in the home. We provide the best spray insulation in Queens, NY. 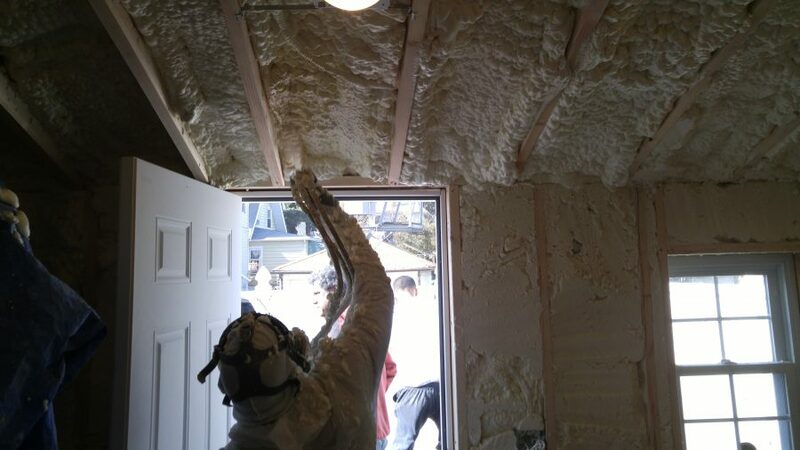 We provide both the services open cell foam insulation and closed cell foam insulation. We are well-versed with the spray foam insulation and we know the difference between both and will recommend you which one will work best for you. Many problems may occur with spray foam application if you do not choose the right people to do the work. So when you choose us, you are choosing the best as we believe in meeting your expectations. We have a skilled and expert people who understand the importance of insulation and therefore are always ready to help you with spray foam insulation. Our main aim is to give you the best insulation experience. Our customer care service is available day and night in case if you need any support. So if you want the best spray insulation Queens, then come to us. 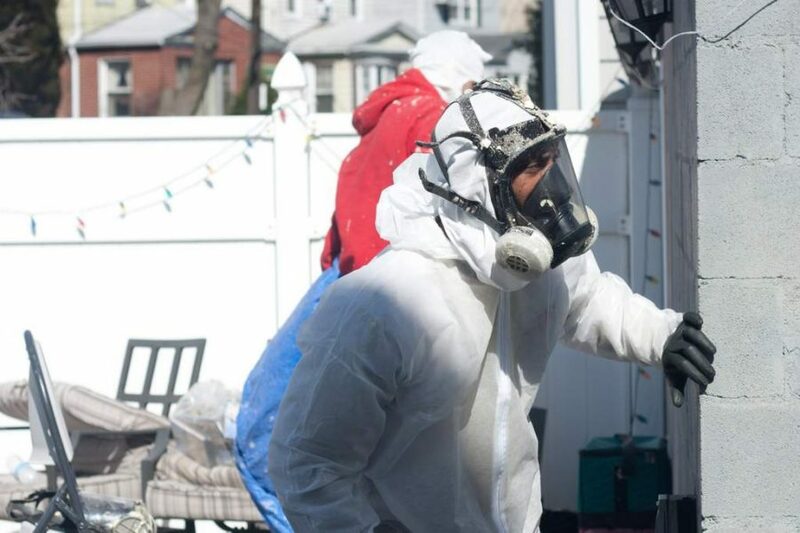 So if you want your house done with spray insulation in Queens, call us and our team of professionals will come to your place and will take a look and will take care of your house and all of your insulation needs.